Two volumes. 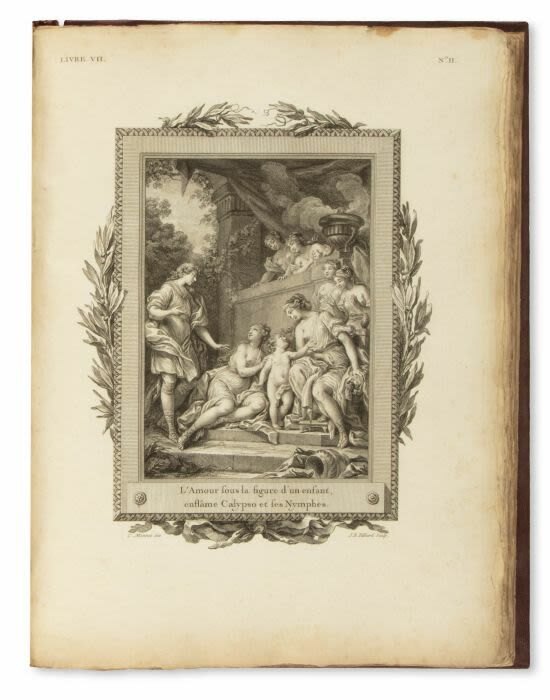 Numerous engraved plates by Jean-Baptiste Tilliard after Charles Monnet along with engraved calligraphic text summaries. Engraved additional title dated 1773.
pp. , 309, ; , 297 Some foxing. Recent boards. Folio. Brunet II, 1215; Cohen-de Ricci 384-86.